Virtual reality is a computer-generated environment that presents its users a true to life illusion bringing him/her a sensation of being inside an artificial world. Replicating the real (actual) or imagined (planned) environment to an interactive immersive multimedia or simulated reality. It allows user to interact with the created environment and make changes to it for analyzing different aspects. 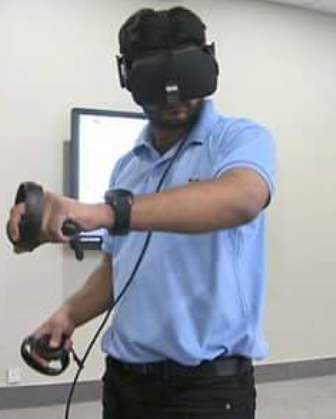 The VR systems are exceptionally helpful in establishing a realistic learning and development environment for both academic institutions and professional practices. It has open-ended utilization in research and development based on the concept of innovation. 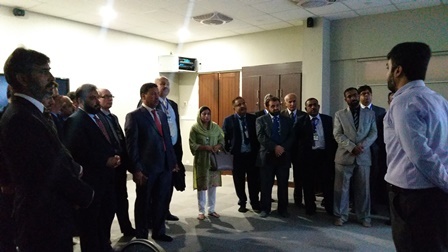 The NED University of Engineering and Technology, Karachi has established a state-of-the art facility for integrating virtual reality in the education, research and practice. 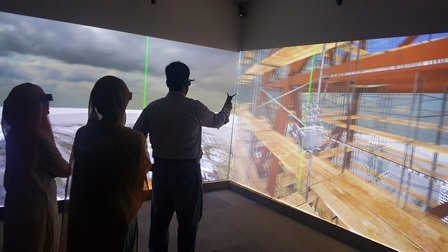 The facility that is housed at the Department of Civil Engineering is named as “NED University Virtual Reality Center” is the first of its kind in the entire region (sub-continent). The facility houses three major system including, virtual teaming system, walking VR systems, and Projection VR system. 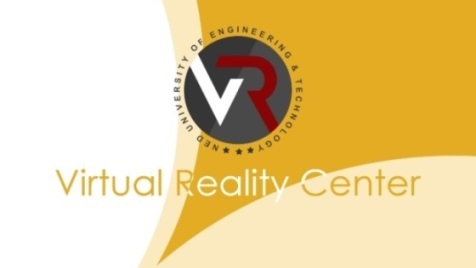 The major objectives of VR Center is to gear up the performance delivery of Construction by being a capacity builder, solution provider and knowledge innovation hub.